This PlayStation Classics installment might just break your heart. This time, we’re looking back at an honorable series that has gone astray and been forgotten. We gather here today to pay tribute to Breath of Fire IV, a title some might call the last good Breath of Fire game. While fans of the series are trying to dig up its grave, in the hopes Capcom might notice it now that the company is majorly getting into remakes and rereleases, we have a way to savor one of the best installments right now. You can pick up this PSOne Classic for your PlayStation 3, PlayStation Portable, or PlayStation Vita and pay your respects. 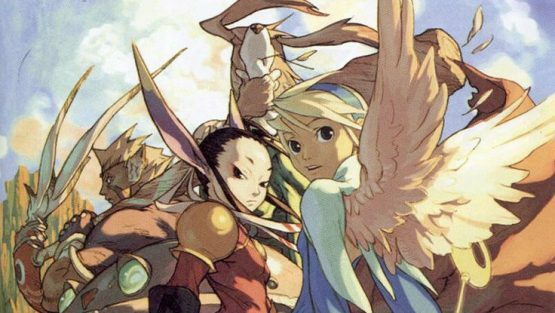 People new to Breath of Fire may get a bit confused, since each installment tends to feature a blue-haired man named Ryu who can turn into a dragon and a blonde, winged woman called Nina. Don’t let that bog you down. Rather, think of it as some sort of coincidence and focus on each installment’s story instead. 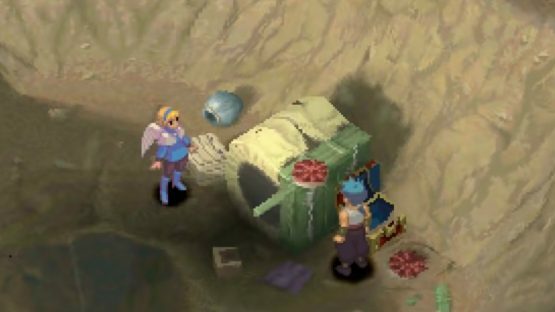 In the case of Breath of Fire IV, things start with the case of a missing person. Nina’s sister, the elder princess of Wyndia, Elina, is missing. When Nina and the Woren clan leader Cray, who was dating Elina, are searching, they come across a man who transforms into a human from a dragon. He is suffering from amnesia, but is known as Ryu and doesn’t seem to know what’s going on. He agrees to help with the search. Naturally, this means Nina, Ryu, Cray, and a number of allies all end up involved in a fight against the Fou Empire, which is run by a being named Fou-Lu that has been revived and is seeking to reclaim his Fou Empire. It is standard late 1990s and early 2000s JRPG fare, but handles its plot in an interesting way and gives you plenty of excuses to explore and immerse yourself in its world. A lot of the mechanics in Breath of Fire IV called back to older games. The battle system is turn-based, and fights take place when you randomly happen upon an encounter. Characters each had field skill abilities, which would allow you to do different things in your immediate area to reach new areas or solve puzzles. The Master System let you find Masters in the world and have them teach a party member to alter their stats and movesets. Fishing is back too. I know I had to reassure you about that, because it is a Breath of Fire hallmark. There are some changes, though, and they help make things a little more tactical. A big change is that you now see six characters in a fight, organized into two rows. The three front row fighters are the ones who are active and can be hurt by enemy attacks, and the character behind them will be able to recover both HP and MP and switch in if needed. This change allows you to determine who is best for each situation, swap in to save another character’s life if they are in danger, and better exploit opponent’s weaknesses. The ability to swap also means people can take advantage of a combos to deal even more damage. In Breath of Fire IV, you choose both what characters do and the order in which they attack. By performing certain sorts of attacks in specific orders, a combo will trigger, resulting in a stronger and better sort of attack. Like let’s say that you have Ryu use Burn, a fire spell. Having Nina use Typhoon after Burn could cause Gigaflare to trigger, which is a rather handy level three spell. There are even ways to combine dragon breath attacks or use certain characters in the right combination to cause secret or special combos. Think of what life has been like for the Breath of Fire series as of late. Breath of Fire: Dragon Quarter was divisive, due to things like it changing the setting and adding a Scenario Overlay System that required you to beat it multiple times. 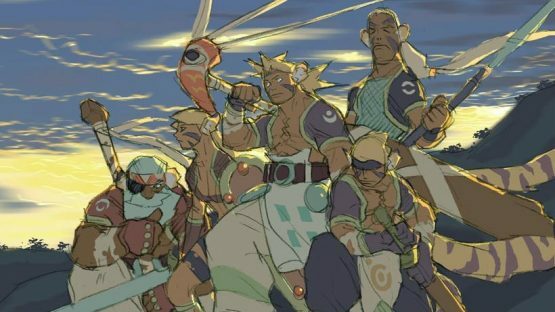 Breath of Fire 6 was a mobile-only title that released in 2016 in Japan, then shut down in 2017. Going back to Breath of Fire IV is like returning to a time when the series was at its best and most Breath of Fire-est. You can see exactly what that means by getting it for $5.99 on the North American PlayStation Store and ¥617 on the Japanese PlayStation Store. Unfortunately, it is not available in Europe.